James Westmoreland has signed for Gearlink Kawasaki and will make his return to the MCE Insurance British Superbike Championship for the 2017 season. 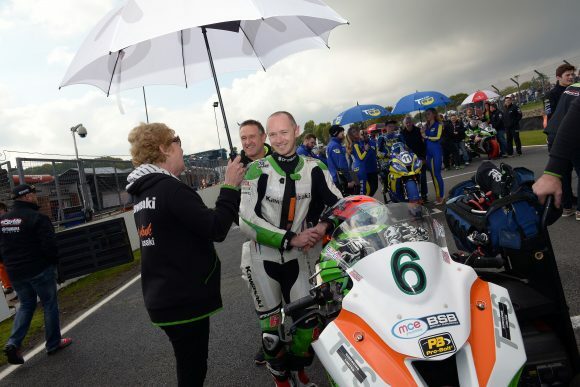 Runner-up in the Dickie British Supersport Championship last year, Westmoreland achieved two race wins and a further nine podium finishes. He’s previously been a podium finisher in the Superbike class; scoring his first top three finish at Thruxton in 2015. 2017 will mark the 13th consecutive season of racing in the British paddock for the Gearlink Kawasaki team – and their fourth campaign in the premier class. The Gearlink Kawasaki team will also contest the Dickies British Supersport Championship with Andrew Irwin and Ben Currie. James Westmoreland said: “I’m really pleased to join Gearlink Kawasaki for this season and to be back in the Superbike Championship after a really good season in the Supersport class. I’ve known Michael and Norma for many years and I’m happy to be joining their team and the Superbike project – I really appreciate the opportunity. I’m looking forward to riding the latest Kawasaki ZX-10R and getting testing underway now. I have some fond memories already of the ZX-10R from my podium in 2015 and I am very motivated to repeat that. Total Motorcycle is official Media/Press for Aprilia, Benelli, Beta, Bimota, BMW, Brammo, Buell, Can-Am, CCW, Ducati, EBR, Harley-Davidson, Honda, Husqvarna, Husaberg, Hyosung, Indian, Kawasaki, KTM, KYMCO, Moto Guzzi, Moto Morini, MV Agusta, Norton, Phantom, Piaggio, Polaris, Ridley, Roehr, Royal Enfield, Suzuki, Triumph, Ural, Vespa, Victory, Yamaha and Zero.